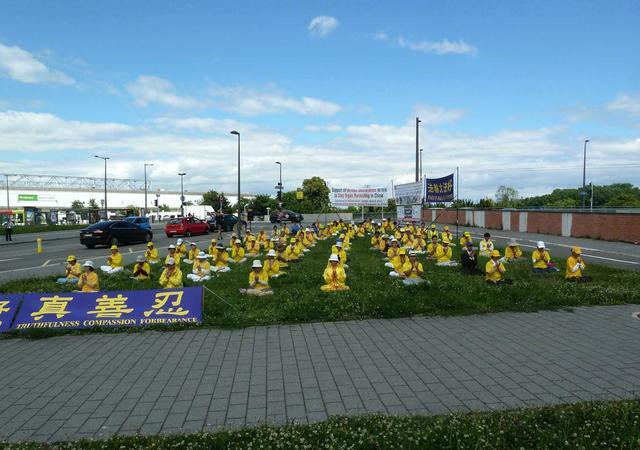 Falun Gong practitioners in Europe exposed the Chinese Communist Party's (CCP) brutal persecution during the European Parliament's (EP) last plenary session before summer break in Strasbourg, France, on July 4-8, 2016. Practitioners held group exercises on the grass near the parliament building. Attendees of the plenary session talked to practitioners to obtain detailed information, including about the CCP's crimes of harvesting organs from living practitioners. 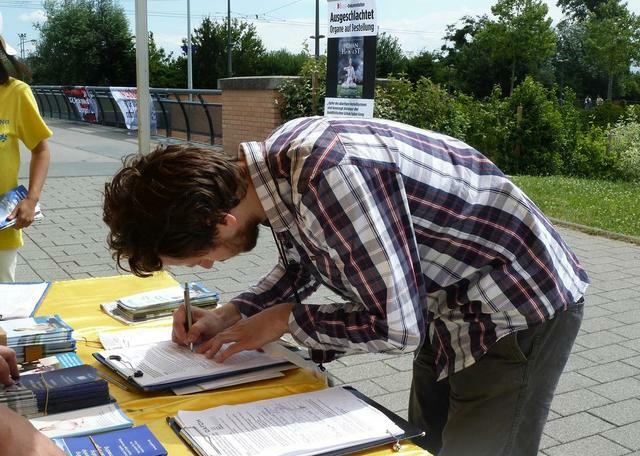 Many signed a statement calling for the European Parliament to investigate the CCP's organ harvesting. 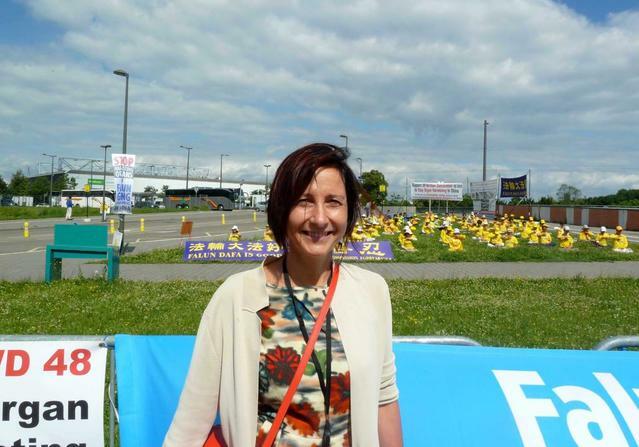 Ms. Renata Briano, a member of the EP from Italy, took a photo of herself in front of the Falun Gong practitioners' group exercises. 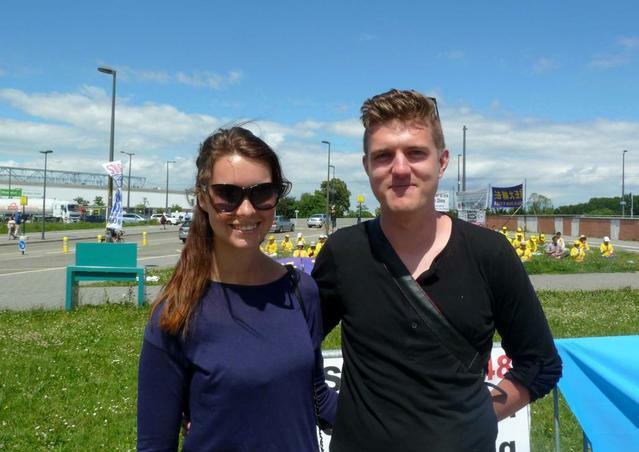 She said she would post the picture on her Facebook account to let more people see Falun Gong. Ms. Briano signed the statement and submitted it to the EP. She said, “I think [organ harvesting from living Falun Gong practitioners] is terrible! 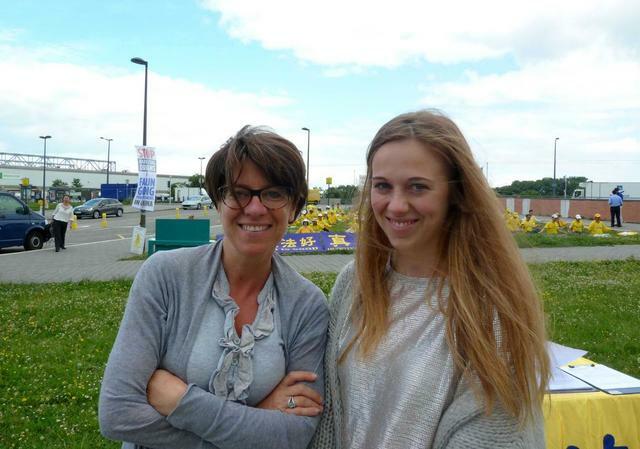 I hope to help Falun Gong practitioners.” She mentioned that the EP had passed a resolution in 2013, which clearly stated the EP's position against the CCP's organ harvesting. She hoped this would reinforce the EP's stance against organ harvesting. 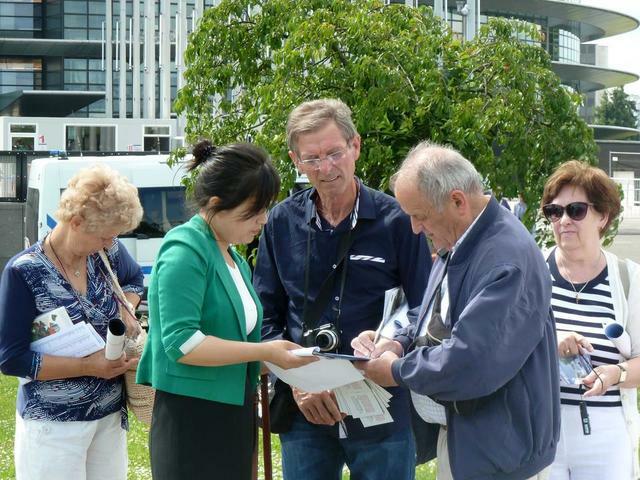 A Chinese lady who attended the EP session happened to pass by the Falun Gong booth. She was surprised to see the group exercise, and took pictures. A practitioner went to talk to her. It turned out she was from China, but didn't know much about the persecution. The practitioner told her about the persecution that her family had experienced in China. The practitioner's mother had been arrested several times for practicing Falun Gong, and their home was searched. The lady was shocked by the brutality of the persecution, especially the organ harvesting from living practitioners. The practitioner showed her the investigation report by two Canadian lawyers, which was backed by substantial evidence. The lady left in deep thought.